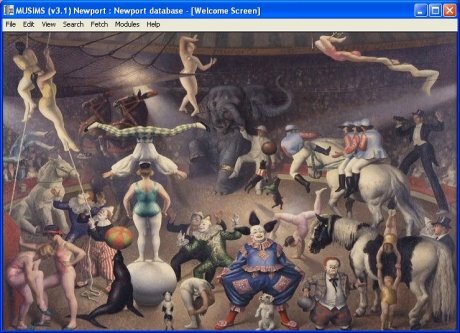 Newport Museums include a number of diverse sites and collections requiring a comprehensive and standard collections management system. The Museum houses displays covering natural sciences, archaeology and local history. The Art Gallery collections illustrate the changing face of South Wales's rural and industrial landscape. In 17 acres of parkland the 17th century Tredegar House enables visitors to discover what life was like for those who lived above and below stairs. The Fourteen Locks Canal Centre traces the growth and decline of the canal and its role in transporting coal, iron, limestone and bricks from the valleys to the ports of Newport and Cardiff. Newport's iconic Transporter Bridge houses the original designs by Ferdinand Arnodin and photographs of its construction. The 15th century Newport Ship is the most complete and well preserved remains of a mediaeval ship, discovered in 2002 on the banks of the River Usk. Conservation is currently underway and there are plans to build a centre for its public display. We have delivered our Collections Management System configured for the diverse collections of Newport Museums including specific terminology controls for each type of collection. Image acquisition is under way and the system will be able to publish data and images to a planned public access web interface via a narrative publishing module.